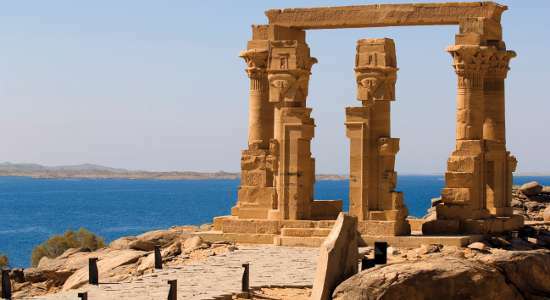 Aswan has been popular with travellers since the days of the earliest package tours in the late 19th century and it continues to enchant visitors still today. Well known for its mild climate and beautiful setting. It is Egypt's southernmost city. Nile boats generally start at Luxor and cruise as far south as Aswan, making it a great holiday combination. Aswan can be an ideal base for exploring the area further, shopping for souvenirs at its excellent soak, or simply enjoying the scenery. After breakfast, disembarkation from your cruise boat and transfer to the Movenpick Resort on Elephantine Island for the rest of your holiday.